Four years ago we were sitting in a hospital room. 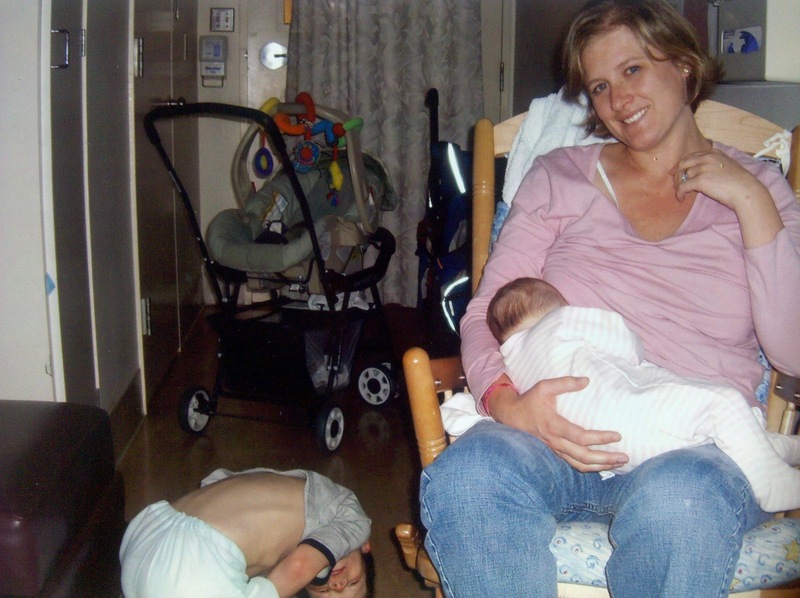 That's Jake on the floor trying to feel the cool of the hospital floor, and that's Lucy, nursing, and that's me, tired, scared, and trying to smile, knowing that these were the baby photos Lucy would see someday. Lucy was 4 weeks old and Jake had Methicillin-resistant Staphylococcus aureus (MRSA). The only isolation room they could find for us was at a hospital in a town 25 minutes away. We didn't know any of the doctors at this hospital, though the doctor who cared for Jake was in residency with our regular doctor. We had never been to this hospital before we checked in, and were immediately escorted to a room across from the nurses station. They placed us in a wing where pediatric patients who needed constant monitoring, but were not ICU, were housed. Because we were so contagious, and they assumed we all were carriers, we were not allowed out of our room except to leave the hospital directly, without stopping. We couldn't even get our own coffee from the room across the hall. We were not allowed in the cafeteria. People gowned and masked before they entered our room, speaking to us dressed as yellow papery ghosts, and I had a newborn. Jake had a wound that grew so fast, and had such a hard time going away that they drew a line around it in black permanent marker so we would know how we were progressing or not. Descartes slept on a tiny little fold out cushion chair for three, or was it four, nights in a row, while I drove back to our house each night with our tiny baby girl. It was horrible, and because of the wound placement, we were all fearful that it would get into his hip bone. After we checked in, got Jake settled into some regulation jammies made of some crazy non-flammable material, a doctor came in to see us. She was kind, and greeted us with the proper amount of decorum and an air that let us know she was in charge, because of course she was in charge. Then she told me that Jake would need to have seriously heavy-duty, one-step-down from military grade antibiotics. Fine. Of course. And then she said he would need to have an I.V. for 40 minutes every two and a half hours. "ARE YOU KIDDING ME? 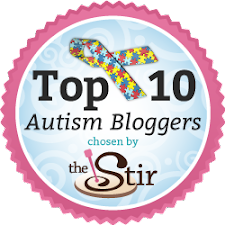 HAVE YOU EVER HAD A PATIENT WITH AUTISM IN YOUR HISTORY IN THE MEDICAL FIELD?" "WE NEED TO KNOCK THIS KID OUT TO BRUSH HIS TEETH, AND YOU THINK YOU ARE GOING TO GET HIM TO SIT STILL WITH A NEEDLE IN HIS ARM FOR 45 MINUTES EVERY 2 1/2 HOURS?" She looked a little bit, uhm, surprised, and hurt, and stunned, and miffed. I said, "YOU ARE GOING TO NEED TO GET CREATIVE HERE. GO FIGURE IT OUT!" My precious husband said, in the nicest way, and with only a little bit of fear that I might have a knife and be okay with using it... "Honey, that's the person who is going to be responsible for helping our son get better, perhaps you could go a little easier on her?" A few, not many, but a few minutes passed, and the same doctor came back in...with a book in her hand, open to a page three quarters of the way in. "What about a shot of the same drug every hour and half? A muscular injection. And we could put it closer to the site of the wound?" And I clapped my hands for her and gave her every amount of praise I could muster. WHOO HOOO! Of course I then had to convince the nurse, and the next doctor, when our first very smart, creative doctor had to leave, that we should only put the shots into one side of his body, the side with the big wounds. They said it would be too painful, and I while I understood that, I had thought this one through. I explained that my son only had one side he could still rest on, only one side that did not have a 2+ inch nasty, open wound, and if they took that away he would never sleep. The doctor rolled his eyes at me...literally rolled his eyes, and the nurse, he said, "Wow, I've never thought of that. So the patient can actually still rest comfortably, at least on one side." I nursed my baby and rocked her to sleep. It took 3 1/2 more days for the last wound to go down to a level that we could leave the hospital. We watched that last wound slowly shrink from its black outline, reminding me of an atoll on a map. When it looked like we were headed towards health, they let us go home, but his treatment was not over for another week or so. We drove him back to the doctor for a few days after that, twice a day, so he could get additional injections. I think he was on antibiotics for nearly three months by the time he was finally healed. He has only a tiny scar on one hip, so small now most people would never notice it, but whenever I see it I remember how scary it was, how deeply infected my poor boy was. This part is bragging: We have never had the MRSA come back. This is pretty rare, because it is really hard to shake. We put a bit of bleach into Jake's bath for nearly two years. We still do not reuse towels (on the kids). We have hospital hand pumps with anti-bacterial at the back door, and in several other places around the house. We swabbed our noses with a special ointment for months. We use gloves for diaper changes. We hot, *hot* dry our sheets, blankets and towels.